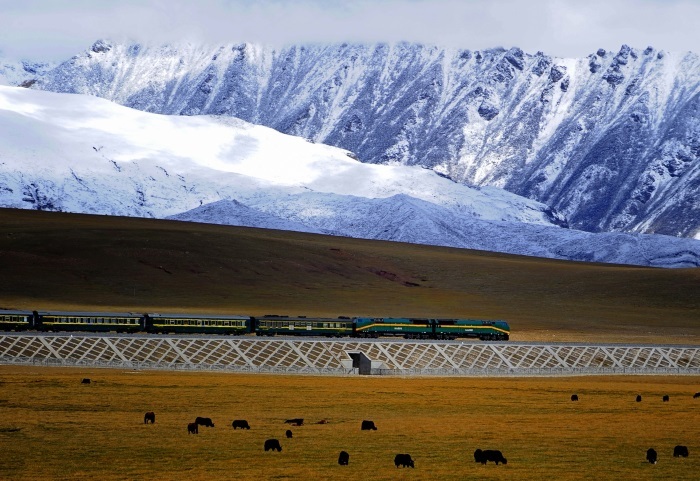 This line connects the Tibet Autonomous region to – well, essentially, to the rest of the world! Being so high and so mountainous, the area had long been isolated with engineering restricted by the vagaries of nature. Building on permafrost is always risky, if even possible, and the altitude means the air is thinner. This not only affects people, but machines too, and even the laws of physics might not be as reliable as they should be!